People of African-Caribbean descent are far more likely to be held in police cells and strip-searched, according to an official report, which also warns that children and vulnerable people are often unnecessarily criminalized. The report by Her Majesty's Inspectorate of Constabulary for England and Wales (HMIC) found that children, vulnerable people and the mentally ill are being locked in cells and sometimes unnecessarily criminalized because police custody is being used as a substitute for social and health care. Research conducted by the National Centre for Social Research (NatCen) found that people detained held “a strong view that strip searches were undignified and degrading” and that some, including children, had agreed to remove their clothes so that police officers would not forcibly remove them. 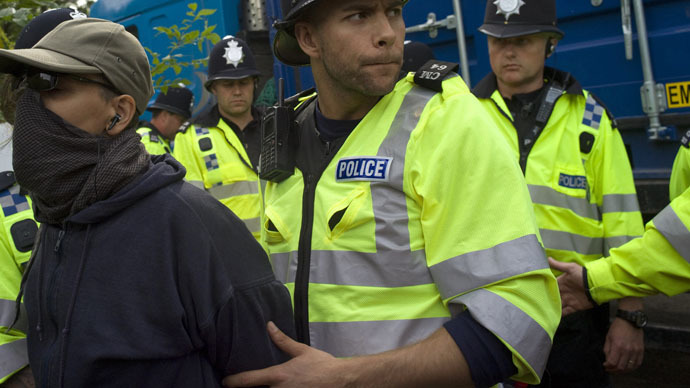 In January 2014, a report revealed that people from black and minority ethnic backgrounds accounted for more than half of those strip-searched by the Metropolitan Police between 2010 and 2013. Of the 94,448 people who were searched by the Met following arrest, 52.5 percent were from African-Caribbean, Asian and other minority groups. By law, strip searches can only be used on people under arrest, in cells at police stations or detention centers. They cannot be used as routine and must be approved by an inspector. The latest report adds to mounting concerns that vulnerable people are being detained often unnecessarily. In February, appeal judges ruled that although stripping a distressed and vulnerable 14-year-old girl of her clothes when she arrived at a police station may not be the best way to cope with the risk of suicide, Merseyside police officers did not breach the teenager’s right to privacy. The ruling follows claims that more forces are strip-searching children, not to look for hidden evidence like drugs, but to ensure they do not attempt to self-harm or hang themselves while in police custody. The report also examined the demographic of those put in police cells. Among them was a 90-year-old dementia patient who was arrested after being violent toward staff, as well as a girl who had fought with her sister over a TV remote control.